Sony makes 4K more accessible, more versatile and even more impactful with this trio of palm-sized cameras. i Productions will dazzle with the visual power of High Dynamic Range (HDR) and the detail of 4K (3840 x 2160) resolution. ii You’ll bring back great images under less-than-great lighting conditions with Sony’s back-illuminated 1” (1.0-type) Exmor RS® sensor. iii Since focus is even more critical in large-sensor 4K production, we endowed these cameras with the speed and accuracy of Fast Hybrid Auto Focus. These models even excel in multi-camera live production when connected to Sony’s MCX-500 switcher and RM-30BP controller. In short, Sony puts major production power in the palm of your hand. The Broadcast Specialist PXW-Z90V Small as it is, Sony’s PXW-Z90V is a production large. Capture broadcast quality 4K in XAVC™ Long recording at 100 Mbps. Maintain focus even on unpredictable news events, with Fast Hybrid AF. Shoot, edit and view HDR content, without the need for additional color grading. Stream wirelessly at 2.4 or 5 Gbps to Sony’s XDCAM® air production system. And connect to the broadcast infrastructure via 3G-SDI. 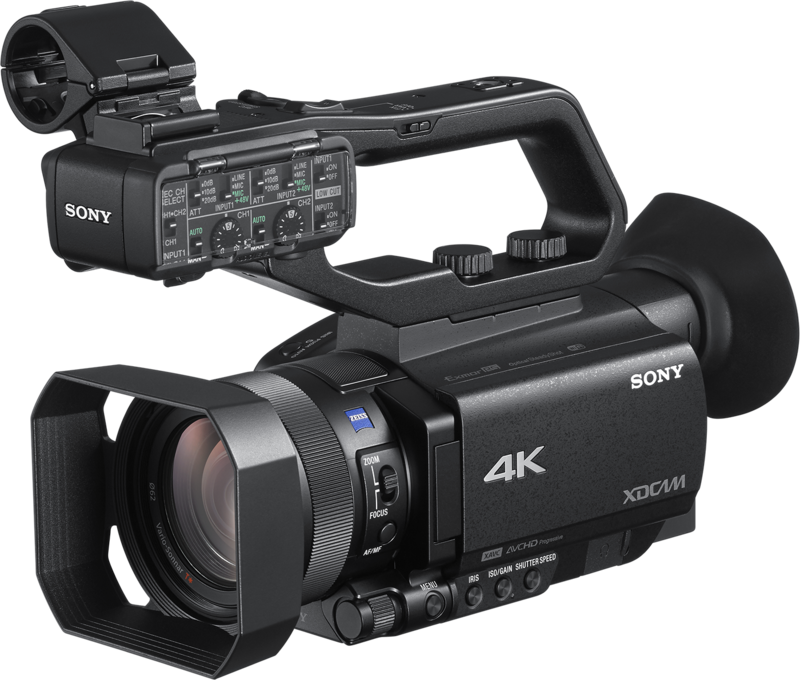 The Consummate Professional HXR-NX80 Take corporate and event video to the next level with Sony’s HXR-NX80. 4K or Full HD XAVC-S recording hits the production sweet spot, combining stunning picture quality with workflow flexibility and storage efficiency. Fast Hybrid AF locks on to dynamic action with impressive sharpness. Instant HDR increases the value of your content. Balanced XLR mic inputs and 2.4 GHz streaming add to the pro credentials. The Serious Enthusiast FDR-AX700 Say goodbye to compromise. The FDR-AX700 opens up new creative horizons. Step up to 4K resolution (3840 x 2160). 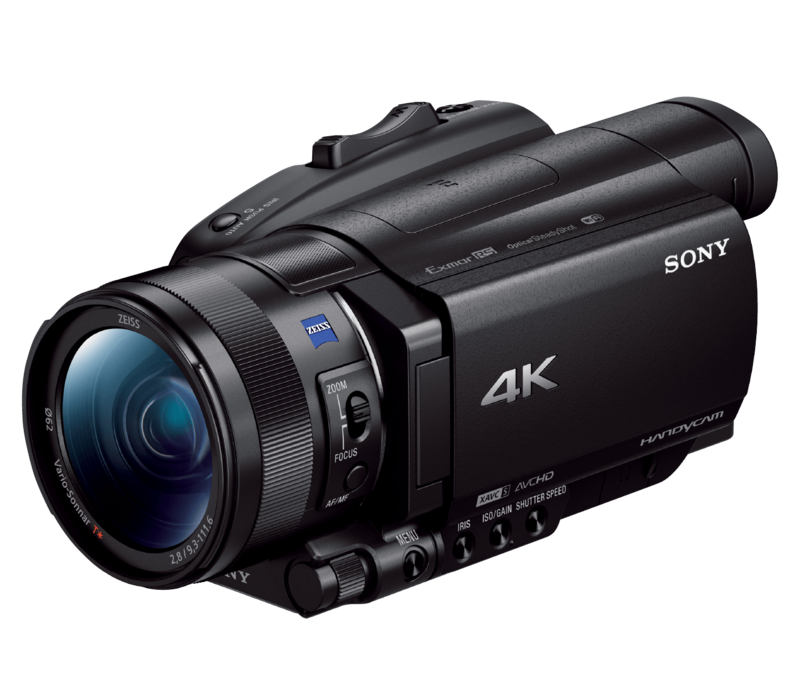 Sony’s XAVC-S 4K recording combines spectacular pictures and easy editing, In HD, you’ve got a choice of XAVC-S or AVCHD® recording. Fast Hybrid AF tracks faces and fast-moving subjects for consistent, tack-sharp focus. And Sony’s Instant HDR excels on both HDR and conventional televisions. 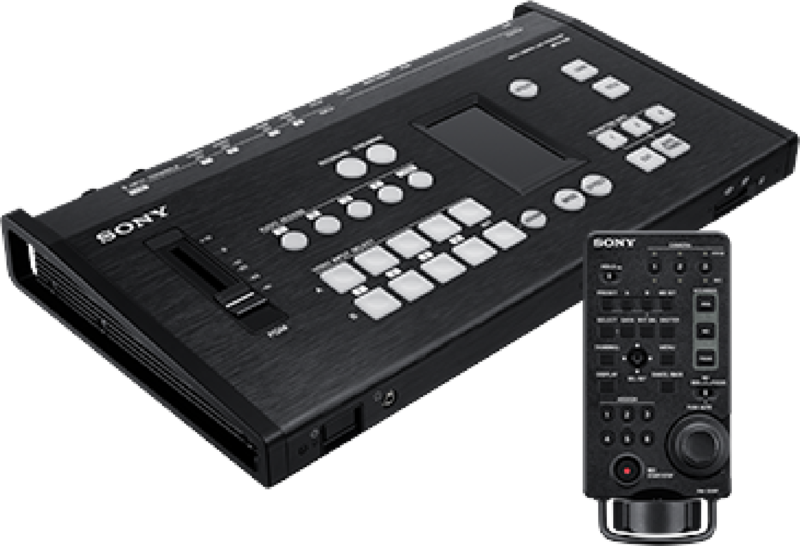 Simple, multi-camera live production All three cameras work seamlessly with Sony’s MCX-500 live producer, the compact, cost-effective switcher that makes it easy for one person to run a multi-camera live event. With the switcher and RM-30BP controller, a Tally icon appears on each camera’s LCD panel and viewfinder. A red icon indicates when the shot is live (PGM) while Green indicates preview mode (NEXT). Ready to buy? Find your favorite retailer.